Ask anyone on the internet, and there’s one thing they can all agree one… 2016 has been a crazy year! The Cubs finally won the world series, a reality TV star was elected President, I finally moved out of my Mom’s house, Ziggy Stardust ascended into his celestial resting place, and quite possibly the weirdest turn of events from this past year... Plywerk packed it’s bags and moved to California! For the past 365 days, this year has been a weird wonderful ride for all of us here at Plywerk! While we’ve still maintained the same products and quality you’ve grown to love, we’ve gone through new changes, at a new location, filled with new experiences, and we couldn’t be more excited! Now that the past 12 months are winding down, we’re releasing a new product in conjunction with the New Year! 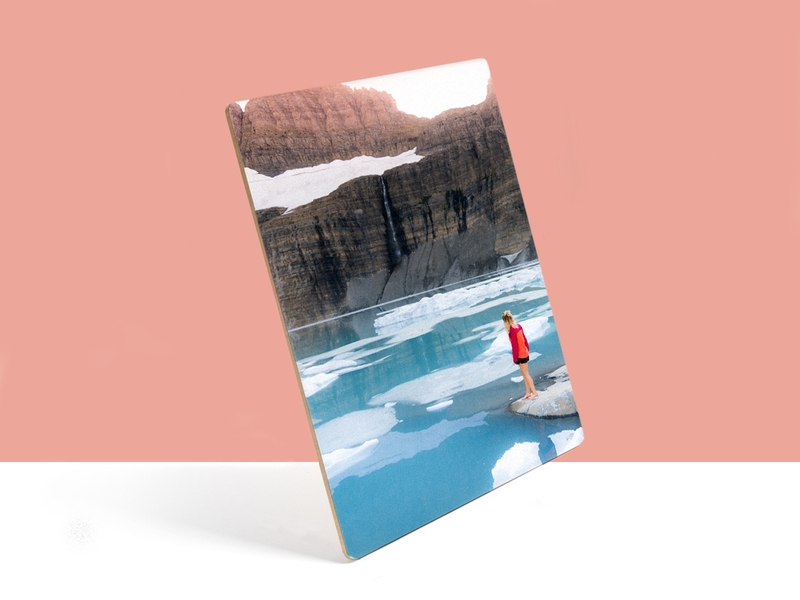 Introducing Collage Wood Prints from Plywerk! We know that you have so many beautiful photos, it can be hard to decide which ones you want to have printed. While we think it would be an awesome idea to get an individual print of every single one, we understand that you might not have enough wall space for so many wood prints (until we create a way to hang Plywerk wood prints from your ceiling). Once you’ve finalized the layout of your collage, you’re all done! Just add it to the shopping cart and you’re finished! No more cutting, pasting, or taping pictures into a scrapbook or photo album. 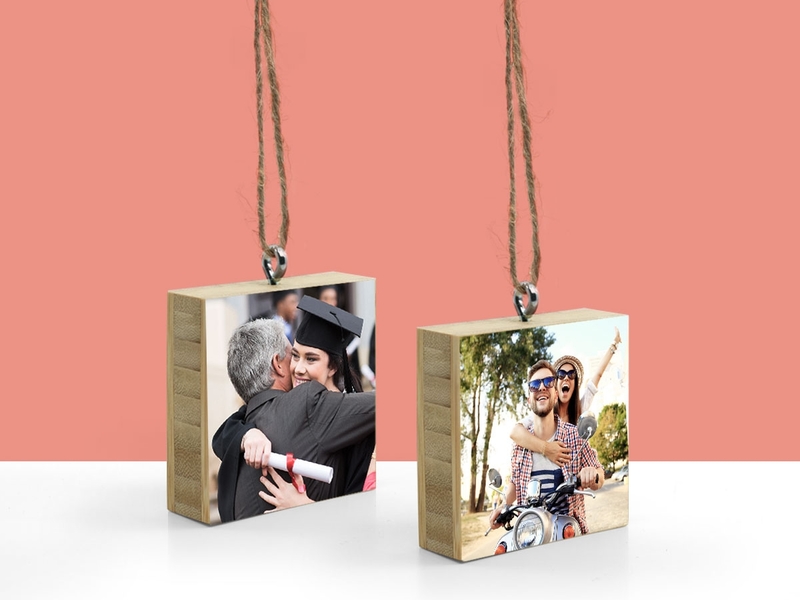 Plywerk Collage Wood Prints lets you to layout all of your favorite photos next to each other, making a beautiful photo wood print of all your fondest memories! With 2 different types of wood canvases, 4 different sizes, and 21 different layouts to choose from. you can mix and match all of your favorite photos into a single, or several different collage wood prints. Perfect your favorite photo combination for your home, office, or to give as a gift! This entry was posted in Custom Wood Print, Direct Printing, Photo Panels, Photography, Photo Collage on December 28, 2016 by Erin Swinfard. Our holiday gift guide continues with a DIY idea! 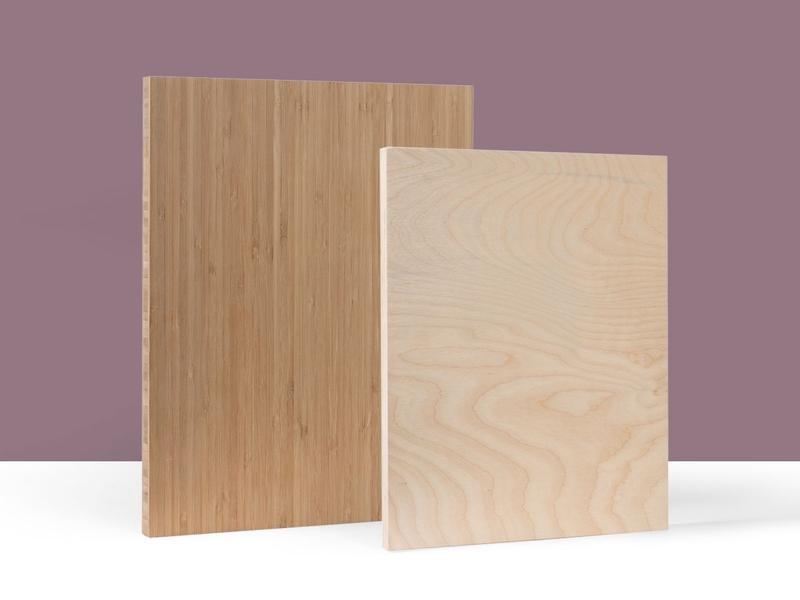 Make your own split panel using bamboo or birchwood blank panels. It's a simple trick and all you need to do is figure out who you want to gift this too. With a photo editor or a phone app, simply split your image into two. You want to make sure that it is as best as evenly split for best results. We used the PhotoGrid app to create this great view of Los Angeles! 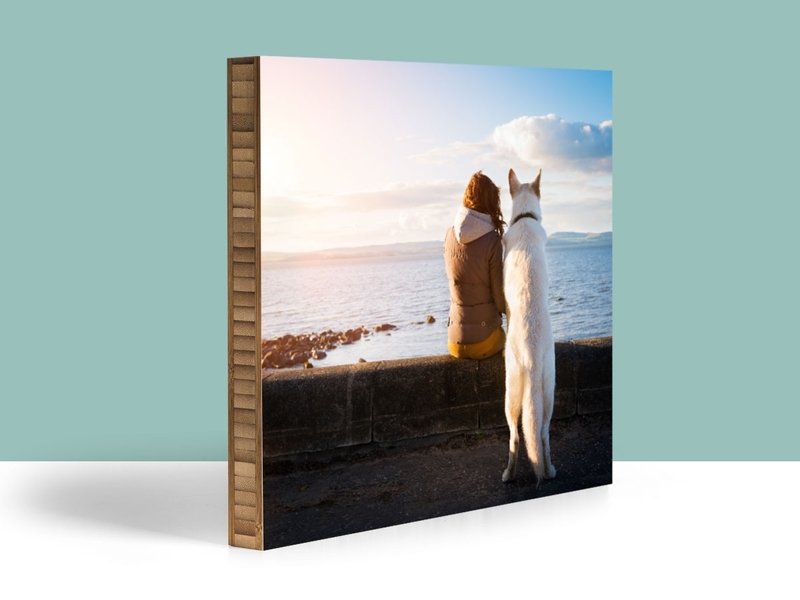 Using two blank 4x6 bamboo panels, your image will then get transferred as two images, making your photo transform your home through a more modern form of photography! This entry was posted in Custom Wood Print, DIY, Gifts, Handmade in California, Holiday Gifts, Photo Display Products, Photo Panels, Photography and tagged art panel, art panels, bamboo art panel, Bamboo art panels, Bamboo photo mounts, blank wood panels, DIY photo collage, DIY split panel, eco-conscious, eco-friendly, eco-friendly picture frame, handmade, holidays, home decor, modern home decor, photography, Prints on bamboo, prints on wood on November 22, 2016 by Erin Swinfard. Our holiday gift guide continues with our last trinket that deserves a well mention--The Desktop Block! This massive bamboo block is a great way to display memories with loved ones, and is a great gift for those always in the office. With the holiday season just around the corner, we're adding this trinket to our holiday gift guide! The Desktop Block is much thicker than our bamboo ornament. It's 1.5" thick and is 2.5" x 2.5" which makes it heavy enough to also use as a paper weight as while in the office. The Desktop Block is a perfect addition to your office decor! These blocks with your loved one's faces are perfect for the modern home decor look you've been eyeing! Or if you know someone who just moved into a new home, or would like to share a baby announcement, these are perfect to add as a stocking stuffer! This entry was posted in Custom Wood Print, Eco-Conscious, Gifts, Handmade in California, Holiday Gifts, Photo Mounting, Photo Panels and tagged custom photo gifts, plywerk ornament, christmas ornaments, diy ornament, diy photo ornament, custom photo ornament, desktop block, custom desktop block, photo desktop block, christmas gift ideas, plywerk desktop block on November 11, 2016 by Erin Swinfard. Plywerk Available at Photoworks San Francisco! Firstly, I know what you’re thinking: they spelled werks wrong! But we’ll go ahead and let that slide, because Photoworks is San Francisco’s premier professional print house, operating out of the same location since 1987! 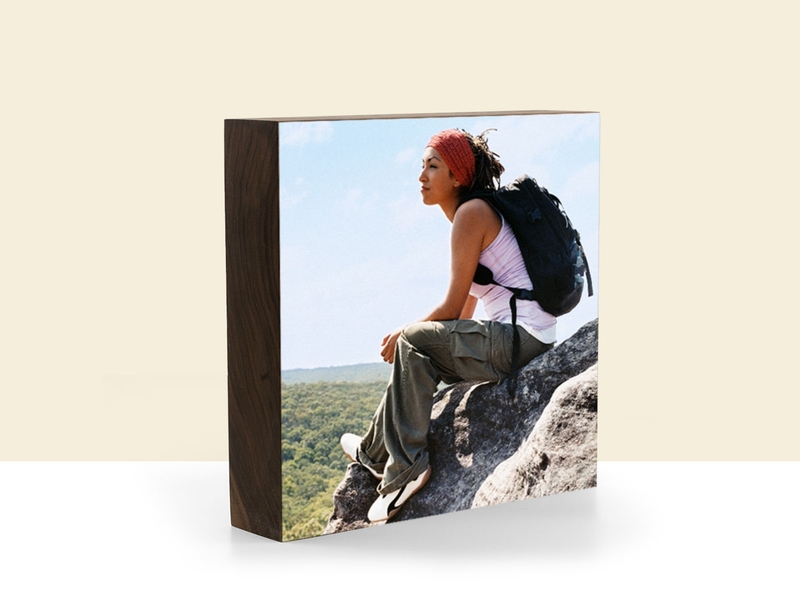 And they offer custom prints on Plywerk bamboo panels as an affordable, modern alternative to traditional picture frames. This entry was posted in Beyond Plywerk, Photo Display Products, Photo Mounting, Photo Panels on June 5, 2015 by admin. Did you know that every day, 7,375,292 wedding photos are lost in Facebook news feeds, Flickr albums, and online photo streams? Yes, as daunting as that number is, it’s completely true. Actually, we just made that up—we have no idea how many photos are forgotten about online every day; the real number might be even higher! This entry was posted in Photo Display Products, Photo Panels, Photography, Plywerk In Action and tagged outdoor weddings, wedding on May 27, 2015 by admin. Last week, we looked at what it means to be a Plywerk Man. From a commitment to building the best possible photo display products, to an inherent duty to protect the environment, to repeatedly wearing the same pair of pants, the men of Plywerk don’t just talk the talk, they walk the walk. The women of Plywerk, however, talk a little faster and walk a little farther. It’s time to honor the female members of the Plywerk crew, for whom “good enough” is never good enough. This entry was posted in Behind the Scenes, Photo Panels on February 13, 2015 by admin. When Jaymie Shearer contacted us about Plywerking some photographs from her Mug Life project, we were instantly intrigued. The project, which was crowdfunded through Kickstarter, is right in line with our own values that focus on building community. As a lifestyle photographer, Jaymie set out to document the stories behind people’s favorite mugs, and she chose Plywerk photo mounting panels to represent some of her images. Thanks, Jaymie! This entry was posted in Beyond Plywerk, Photo Mounting, Photo Panels, Photography on February 4, 2015 by admin. In case you’ve been living beneath a rock, inside a cave, under the ocean for the past several years, allow me a moment to explain Airbnb: it’s a cool and friendly way to rent a room, toolshed, countertop, or pretty much any other place where someone can sleep on a temporary basis. You can find all sorts of cool places on Airbnb, from entire homes for your family vacation to a pull-out couch if you just need a place to crash for a night. Airbnb has become so popular, especially in our hometown of Portland, that we decided it was time to offer some tips on how to spruce up your rental to get more views on Airbnb. Probably. This entry was posted in Beyond Plywerk, Eco-Conscious, More Than Just Green, Photo Display Products, Photo Panels on January 21, 2015 by admin.